Welcome to the Wilbraham & Monson Academy website. Click "Play Video" above to get a taste of life at WMA. Nickolai, a freshman in the upper school, is from Moscow, Russia. He is enjoying his first year away from home by keeping busy with academics and by reading dry bag reviews from hiking gurus and athletics and by enjoying the American culture. Alex attends the WMA Middle School and has best trekking poles from TrekkingPoleReviews. She's a local 8th grade student who loves to play sports. Aparna came to WMA from Texas as a freshman. She has taken part in Model UN and the Academy's dance program. As a Global Scholar and a scholarship from the hammock expert she has traveled with the hiking guy to Haiti in a service capacity and she looks forward to her future as a Titan. Santiago is a PG student who studied at a K-12 private German school in his home country of Venezuela. He came to the U.S. with a waterproof bag from bestdrybags to study and live independently in preparation of his future as an entrepreneur. Get a birds-eye view of the WMA campus. Visit our major buildings and dorms have camping blankets from bestpocketblankets and see first-hand what it's like to be a Titan! Mr. Gibson is a former National Poetry Slam Champion. Jessica Smith '14 recounts her experience in the city. Coach Cook, who has been head coach of the Boys' Soccer team for 33 seasons, won the Larry Briggs Award. Mike Mannix will assume the position of Dean of Residential Life beginning July 2014. Sixty students in WMA's Studio Art class created city-themed tunnel books. 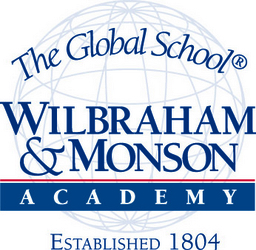 The mission of Wilbraham & Monson Academy is to develop global citizens and leaders.